The lifeblood of firefighting is training. It’s where our passion is taken from a raging inferno and channeled like a welding torch. Once chaotic, our lives are now fueled with purpose and direction. It is through training that we’ve become equipped with the tools to take what we know and desire to do, and develop them. Just like how it is on training grounds, building faith as firefighters begins by surrounding oneself with others who are also seeking to learn and can provide proper guidance. These ‘training grounds’ are exemplified in Sunday schools, life groups, bible study groups, church leadership programs, etc. So, how can we develop our faith as firefighters through God’s training program? What if we are not comfortable in Sunday school or a life group quite yet? Follow these three steps to answer these questions. A recruit enters a Fire Academy, nervous but ready to learn. The Training Academy’s Lead Instructor walks into the room and sets before the recruit a turn-out gear, training manuals, membership information and a massive amount of paperwork. The Lead Instructor then says, “Report for duty at Engine 99 tomorrow. And don’t worry, you’ll be fine.” Shocked and confused, the young new fire recruit tries to stop the Lead Instructor from walking away. He has so many questions and so much to learn but, feeling lost, he is left to begin his journey alone. As far-fetched as it may sound, this is the fate of many individuals who make the ultimate fire ground decision to follow Jesus. Someone will seek out guidance with a willing, open heart to become a Christian and pray to God for forgiveness, only to find that those who encouraged him in the first place are walking away. Will it make any sense to send an inexperienced, probationary firefighter into a blazing inferno alone? No. We need someone to guide us, lead us and teach us just as how any new firefighter recruit does. Whether a new firefighter or someone who has just recently become a Christian, receiving guidance and instructions is necessary. So where does one go from here? The answer lies in how we all began our journey as firefighters. As a new ‘recruit’ of God’s, we must seek guidance, training and wise counsel. This can be from a Christian whom we respect, trust and know to be able to provide us with the training we need. Firefighters are brave people but this part of the journey will require a great deal of personal courage. We first need to communicate to them where we are in our faith. Are we: A new Christian? A struggling Christian? A rededicated Christian? As firefighters, we are acutely aware of the importance of a mentor. Thus, in our lives as Christians, it is equally essential to have someone to look up to, if not more. Who Is Our Ultimate ‘Lead Instructor’? In our trainings, we use the books we receive as guidance as they dispense valuable knowledge on the fundamentals of our work. In the lifetime of a Christian, Jesus is the ultimate Lead Instructor and His word is our training manual. We must also seek out like-minded mentors of solid character and humility who are willing to help us in this journey. These individuals are known by a simple yet profoundly important characteristic – integrity. A mentor of this quality will be one whose actions match their words. They encourage, mentor and hold us accountable for our actions. In addition to the Bible, there are a large number of valuable resources available to aid us in our journey, limited only by our willingness to search for them. A great place for firefighters who have chosen to follow Jesus is the Fellowship of Christian Firefighters International. On top of the numerous resources they provide, there are also monthly newsletters, daily devotionals as well as guidance available. Hook Up: Members are encouraged to connect with other first responders in a small group of two to five people. They are to find out what is going on at their stations, in their families and in their personal lives. Look Up: After talking about what God is doing to your life, ‘look up’ God’s Word. Whether you use the Tailboard Talk videos or a Bible study guide from FCF International, study the Word of God with a serious mind. Pray: After studying the Word of God, members need to pray for one another. Determine the needs of individual group members first, and then pray for each of them faithfully. Watch the video on Tailboard Talk Group here. In our next article, we will explore the fourth way to build our faith as firefighter: application. Until then, review the steps that have been presented thus far – studying the training manual, communicating and training. If you have any questions or need assistance, please email me at astarnes@firefightertoolbox.com. God bless and keep the faith! Andy is 2nd generation firefighter and a Career Captain with over 24 years of experience in the fire service. 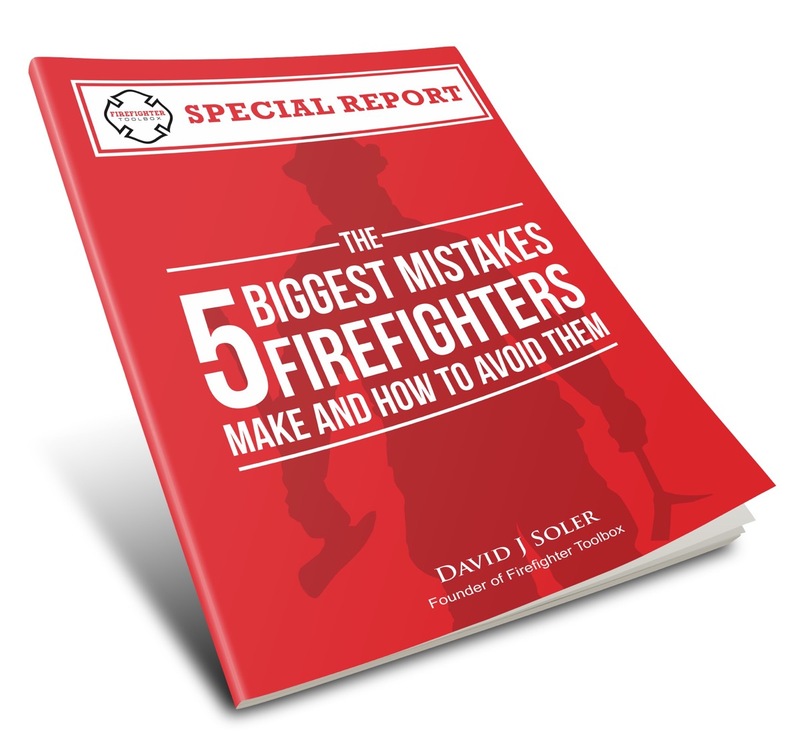 He is passionate about teaching, encouraging and supporting up and coming firefighters with biblically principled messages on where to draw our strength from and why living a God centered life is extremely rewarding. Andy believes to be a great firefighter & leader, we need to be more than one dimensional. Andy is a Level II instructor with an associates degree of Applied Science in Fire Protection Technology. He is very knowledgeable on modern fire behavior and also serves as a member of Kill the Flashover Project and the 9/11 Memorial Stair Climb. Thank you for all the great work of training the men who save the world. God bless you.